Technology has found a way to integrate itself into every other part of our lives, why not utilize the tools it gives us to better ourselves? Money problems are the number one argument for the average couple. Technology can help to manage personal finances better and alleviate a bit of stress for the whole household. Budgeting is a mess, but tech tools do the dirty work for us. 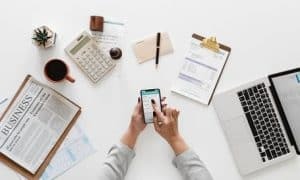 Take a look at a quick overview of a few of the most helpful ways in which technology can help us manage our personal finances. The popularity of this application supersedes all the other apps on this list, as Credit Karma’s marketing strategy is unforgettable. Along with the obvious functions, like providing a current credit score and free reporting at any time, Credit Karma has other fiscal benefits. The app provides constant security and monitoring over individual credit accounts to help defend against identity theft. 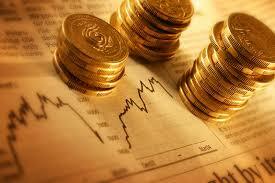 The company will also work closely with clientele to dispel any fraudulent or incorrect charges. Credit Karma provides an invaluable service for anyone willing to give it a shot. Mint’s most current application is a one stop finance management shop. The program will manage bank accounts, monthly payments, student loans, and even a user’s 401k. It may be a little risky to provide all of that information in one location, but Mint assures top security standards. Once the app is linked to all the necessary bank accounts and such, it will automatically begin tracking spending habits and categorizing everything. The app will alert users once they get close to exceeding their budget limits, and it will even offer valuable savings tips throughout the day. Acorn is an application that will help users save significant amounts of money without causing a rift in financial schedules. Acorn takes the leftover cents of every transaction and invests the change in a portfolio of choice. For example, if a person spent $5.25 at the store, Acorn would automatically round the transaction up to $6.00. The $0.75 would be moved to an investment account of the user’s choosing. Over a year, many people have saved hundreds with Acorn. The app also offers the option of a simple weekly deposit. GoodBudget is an app that will take users back to a more simple time when people budgeted through a system of marked envelopes. Users just create several different envelopes and mark them with payment information and due dates. The app will keep track of budgeting allotments for groceries, gas, utility payments, and rent. Once the application is up and running, it is easy to track where a user’s income is going and just how much is being spent. This app is not as high-tech and sophisticated as some of the other popular personal finance apps, but it is great for those who enjoy the simpler things in life.